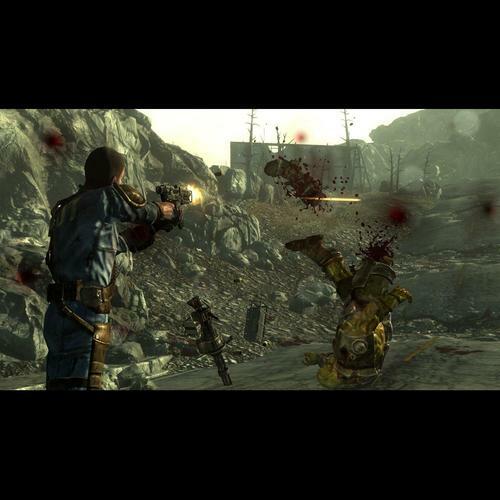 Fallout 3: initially banned by government. The release date of a government discussion paper on content classification could create a watershed for Australian gamers who are set to suffer under the national Internet filtering scheme. The Attorney General's department promised this year to release the paper to collate public opinion on the need for a R18+ classification for video games. Lobby groups have failed for a decade to convince government to introduce the classification, which has resulted in dozens of games banned by the Australian Communication and Media Authority (ACMA) for including content not suitable for people under the age of 15. The average age of video game players is 30, according to the Interactive Entertainment Association of Australia (IEAA), with 19 per cent over the age of 60. The organisation claims 91 per cent of Australians believe the government should introduce the R18+ rating. The classification push was almost crushed at a Standing Committee of Attorneys-General earlier this year by South Australian AG Michael Atkinson, a staunch opponent of an R18+ game rating. A spokesman for the AG office said the release of the paper will be delayed along with its slated July 31 closure date after a cabinet reshuffle saw Brendan O'Conner replaced former Minster of Home Affairs Bob Debus who introduced the paper early this year. “The paper is under consideration by government... clearly it will most likely be extended past the [July 31] closure date,” he said. Media advisers, who are also reshuffling, will next week provide Computerworld with further details on the progress of the paper and planned release date. Responsibility for the discussion paper will remain with O'Conner. Computerworld reported in March the government Internet content filters will block all Refused Classification (RC) content which includes video games that exceed the MA15 rating. IEAA CEO Ron Curry said he feared the ministerial reshuffle may have killed the consultation paper after the government had not responded to repeated requests to move forward the classification debate. “We are not sure what [O'Conner's] position is on the issue... We have lobbied the government for five years, and quite extensively this year.. where do you go?,” Curry said. “I'm sure the police have plenty more things to do than stop people importing RC video games”. The IEAA has advised government on the demographics and purchasing habits of the gaming industry in order to break what it Curry calls a “moral panic” which he says has stalled development of the R18+ classification. The global video game industry will draw some US$73.5 billion in revenue by 2013 according to PriceWaterhouseCoopers, dwarfing other entertainment sectors. Sales of Microsoft's Halo 3 topped US$170 million, according to the publisher, setting a record for the highest gross revenue within 24 hours across all entertainment products. Dr Lawrence Kutner and Dr Cheryl K. Olson, co-founders and directors of the Harvard Medical School Center for Mental Health and Media, wrote in Grand Theft Childhood that video games are not linked to violence and claims to the contrary are simplistic and not supported by fact.